Sir Alex Ferguson has delivered a defiant response to suggestions his Manchester United side are faltering in their bid to complete a Premier League and Champions League double. 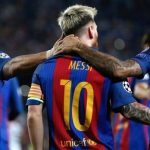 Ferguson's men face Barcelona in the second leg of their Champions League semi-final at Old Trafford here on Tuesday just three days after suffering a controversial Premier League loss to second-placed Chelsea. That 2-1 defeat at Stamford Bridge – marked by a disputed penalty decision that gave Chelsea their winner – means English champions United head the league on goal difference and must win their two remaining games to be sure of retaining the domestic title. 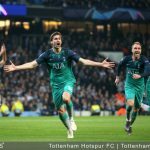 And having been held to a scoreless draw in a disappointing first leg clash in Spain, they must now beat Barcelona to reach the final of Europe's premier club competition for the first time since they won it in 1999. 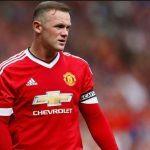 United's task will not be helped by the ongoing doubts over the fitness of striker Wayne Rooney and influential centre-back Nemanja Vidic, both of whom were given only a 50/50 chance of starting by Ferguson. 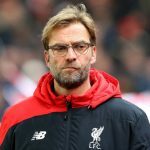 The manager, however, rejected on Monday claims the demands of a long campaign are beginning to tell on his side at a crucial stage of the season. “I'm not concerned the season is beginning to affect the team,” he told a news conference. “I think we should be sitting here as champions of the league. I think decisions have gone against us, bad decisions have gone against us. “But here we are sitting here at this very moment, it doesn't matter about the decisions in the past. When we started out in the league in August, it was to win the league. We signed up to play 38 league matches, and we are going to play 38 league matches. “And if it means we have to win the last two games to win the league, then so be it,” the Scot added. 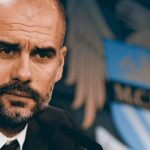 “Where we are now is, with two games left – it doesn't matter if we've had 50 penalty kicks turned down, or 50 given to us, or terrible performances, or great performances – we are sitting here now with two games left. “A semi-final tomorrow, a home game on Saturday and a game against Wigan away. Disaster!” commented Ferguson sarcastically. Ferguson was criticised at the weekend for his decision to rest key players, including Cristiano Ronaldo, at Chelsea and a bad day was made worse when it emerged some of his squad had been involved in an altercation with the London club's ground staff as they warmed down after the game. The manager confirmed United would send a report to the Football Association (FA) about the incident while raising the question of why the Chelsea groundsman was so keen to clear the pitch. But he insisted events at Stamford Bridge would only help motivate his team ahead of the Barcelona clash. “We are filing a report and it will be sent to the FA and we're very happy with that,” Ferguson added. “We are delighted with that. We hope the FA investigates it. He added: “Saturday can only help us, no question about that. Playing Wednesday night after a lunchtime kick-off there is no way I could have played the same teams; so I had to decide where I could get the best freshness and give my team the best chance of a European final because that is the best incentive for any player. “Time and time again I said this club should have had more success in Europe (United's 1999 triumph was only the second time they'd won the European Cup after they became the first English club to lift the trophy in 1968) and I wanted to give them the very best chance and it was a very easy team to pick on Saturday,” said Ferguson.